As far as big cities and nightlife goes, Tianjin isn’t known for its party scene – especially when compared with neighboring Beijing. In fact, most bars in Tianjin wind down around 2:00am, as locals generally like to turn in early. However, there are a number of bars that stay open until the wee hours of the morning, and these are usually good places to meet fellow expats, have a slice of English conversation, and enjoy some late-night western food. After considerable research (it’s a hard job, but someone’s gotta do it), I’ve made a list of some of the best expat bars in Tianjin. This two-story sports bar is in Ao Cheng and has a great happy hour, good food, and loads of expats. Happy hour is from 3.00pm-7.30pm everyday, which includes a selection of beers, wines and spirits at a 2-for-1 price. The food is tasty Americana bar fare, including burgers, pizzas, ribs and fries. A wide range of sports from around the world are shown on the numerous big screens around the bar and the tables (both indoors and outside on the pavement) are long, wooden, and perfect for meeting new people. Indie is a great little, laid back, artsy bar near Tianjin Medical University. There’s lots of little tables to play games (cards, mahjong, or board games), draw, listen to live music, and of course eat and drink. Here you can feel comfortable to be yourself and do pretty much whatever you like to chill out. The food and drinks are well priced and tasty – they even serve poutine for the Canadians amongst us. This small, unassuming bar located on the 6th floor in a building in Shangu (near Tainta) is a great place to go for a few games of pool and interesting conversations with expats from a range of countries. The owner, Jack, is an extremely friendly and welcoming local who mingles with the expats (and will most likely beat you at pool!). In Summer, Jack opens the rooftop deck (just above the bar) which has loads of tables, delicious BBQ food, and great sunset views of Tianjin. A little hard to find in a small side street of Nankai District, Truman’s is popular with expats and locals alike. Here you can play darts, mingle with and chat to the bar staff and other patrons. There’s two levels to chill out in, and the top level has comfy couches to melt into. This restaurant-bar usually attracts a younger university crowd so there’s a bit of an upbeat, party sort of vibe here. The food (with, as the name suggests, a Mexican theme) and drinks are cheap and the booths and tables are arranged so that it’s easy to weave in and out to meet new people. Take note of their happy hour times and food specials as the discounts are great value for money. Helen’s gets a special mention here. In my experience, it’s not necessarily one of the best places to meet expats, as it’s usually fairly loud and smokey, and people generally stick to their own tables. But the drinks are cheap and the food can be good, so once you’ve got your own crowd, head here for a night of fun and games. There are a few Helen’s in Tianjin (and Beijing! ), so check their website for your closest one. No list of bars in Tianjin would be complete without mentioning Sitong. Although more of a club than a bar, this place is infamous amongst expats. Come here for a night of dancing, drinking, loud music and the chance to meet “that special someone”. All of these bars have English speaking staff as well as menus in English, but if you want a practice ground for your Chinese basics, these are great places to start. Most bars also have free wifi (you’ll just have to ask for the password). The easiest way to get to most of these places is by taxi. Just show (or tell) the driver the address in Chinese and you shouldn’t be more than a 10-20CNY away from a night of fun. 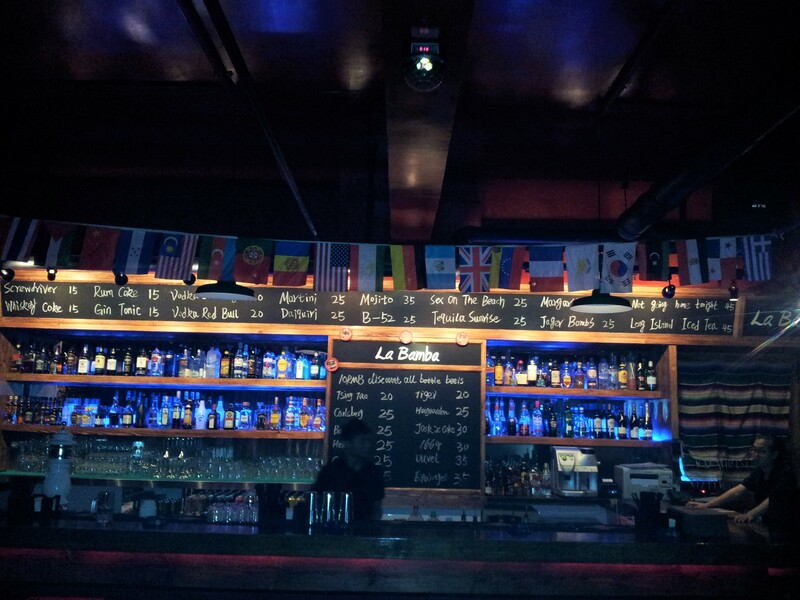 Where are your favorite expat bars in Tianjin? Let us know in the comments section. *Please note that things can change, and all information was correct at time of publishing. Penny de Vine is a thirty-something Australian freelance writer with a love for travel and trying anything new! You can follow her on Twitter or Facebook.